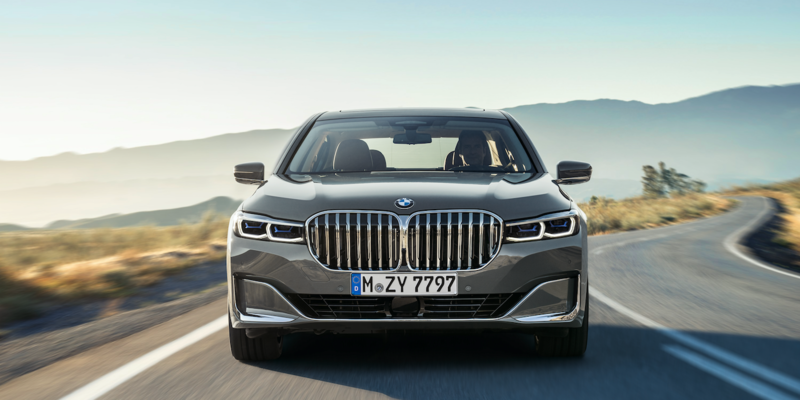 You are at:Home»News»OEM News»The 2019 BMW 7 Series: what’s behind that grille? 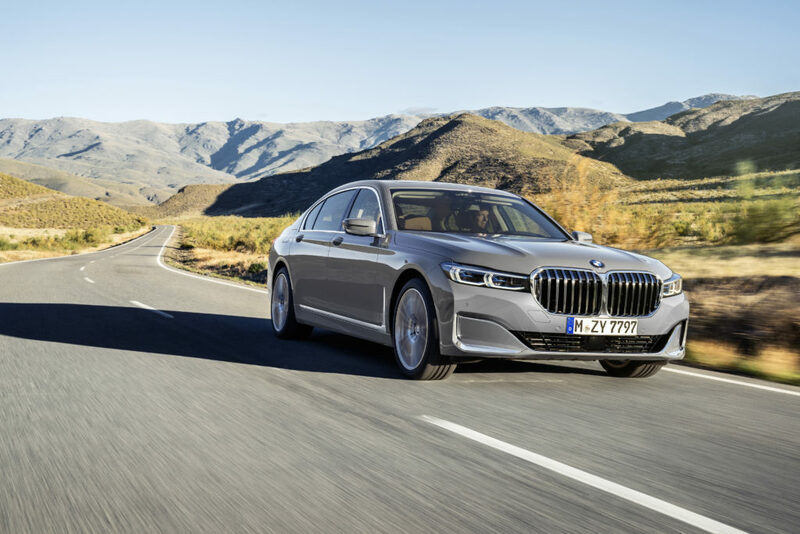 The 2019 BMW 7 Series has been revealed, and behind that enormous grille lie many new developments for the model in terms of driving dynamics, with the aim of making this generation “the ultimate vehicle for luxurious driving pleasure”. As many would expect, the 2019 model continues the trend of being larger than its predecessor, being 22mm longer. This makes the long-wheelbase version, with a further 14cm again, some 3,210mm long. However, the potential weight penalty of the extra size has been tempered through some clever materials engineering.. The body structure comprises a material mix of high-strength steels, aluminum and carbon fiber-reinforced plastic (CFRP). These materials have been combined in the passenger cell of the vehicle – to create what BMW describes as the ‘Carbon Core’ – which the company’s engineers say makes a major contribution not only to safety levels, but also to handling capabilities. So what else in the car’s setup will benefit handling? 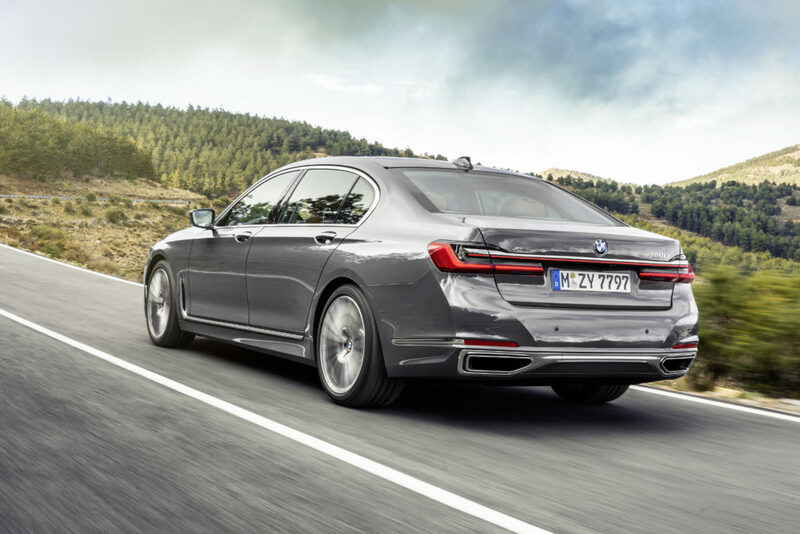 Well, all models, from the entry-level six-cylinder petrol and diesel models, to the new plug-in hybrid drive variant, to the 6.6-liter 585hp V12 M760Li xDrive flagship, feature an improved version of the xDrive intelligent all-wheel-drive system. 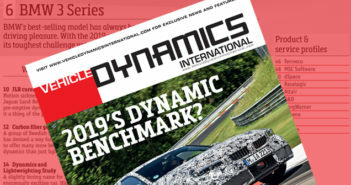 All variants also feature adaptive suspension as standard, including electronically controlled dampers and two-axle air suspension with automatic self-levelling. The driver can also get involved, selecting their desired damper settings – via the Driving Experience Control switch on the center console – to focus the setup towards greater comfort or sportiness and to raise the ride-height by up to 20mm, for negotiating rough road surfaces or ramps, for example. As an option (or standard on the M760Li xDrive), buyers can specify the Integral Active Steering system, which allows the driver to execute low-speed manoevers with only small steering inputs and without having to change their grip on the steering wheel. At higher speeds, the car’s responses to movements of the wheel are less pronounced, improving both directional stability when driving in a straight line and precision when entering corners. By turning the rear wheels in either the same direction as or the opposite direction to the front wheels, depending on the road speed, the system is intended to make the car nimbler in city driving and increase its agility and tracking through corners. At low speeds, the rear wheels turn in the opposite direction to the front wheels, easing the car’s maneuverability and reducing its turning circle. 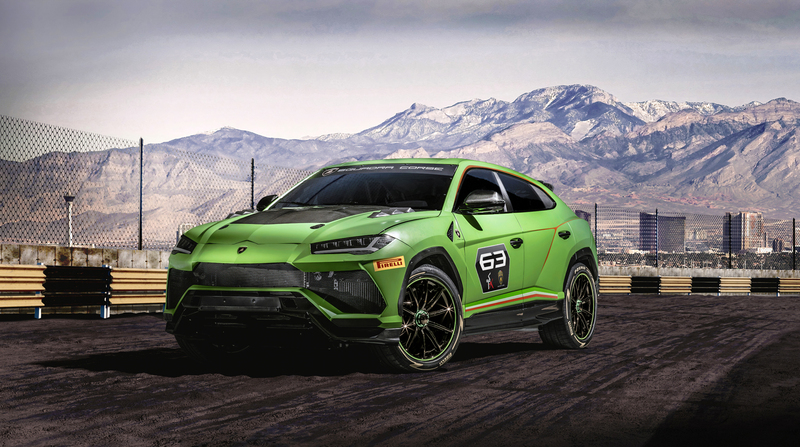 At higher speeds, the rear wheels follow the same direction as the front wheels, allowing the car to follow the course set by the driver more quickly and accurately. Further options include the Executive Drive Pro chassis system (again standard on the M760Li xDrive), an active chassis control technology that reduces rolling movements at the front and rear axle to improve comfort and enhance handling. The system, available for all model variants apart from the BMW 745e and BMW 745Le xDrive, also includes an anticipatory chassis control function. The central computer gleans advance information for regulating the combination of chassis systems from driving style analysis readings, data from the navigation system and a stereo camera, and then uses that data to adjust the chassis settings for enhanced ride comfort and active safety. With the M760Li xDrive model, an additional Sport+ mode can also be accessed via the Driving Experience Control switch. This setting is a departure from the other, more comfort-focused settings, and activates a track-geared vehicle set-up, including linear throttle response, direct, undamped engine response and a less muted engine noise. This setting seems slightly at odds with that “ultimate vehicle for luxurious driving pleasure” tagline, but could be of interest to security drivers, and perhaps Jason Statham.